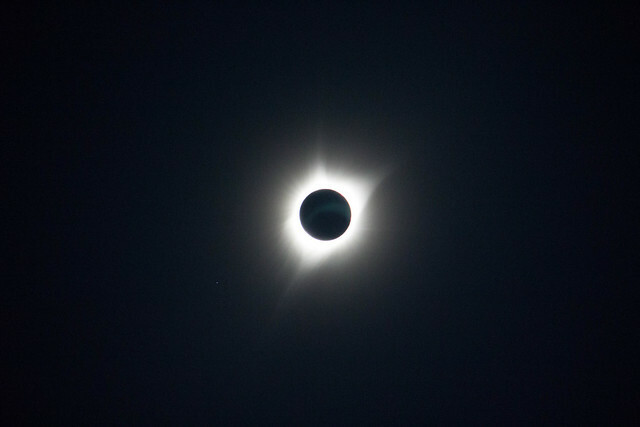 Last Monday, like many other people, I found myself in the path of totality – in my case, Glendo, Wyoming. Glendo, population 200, is the first real city (ha!) 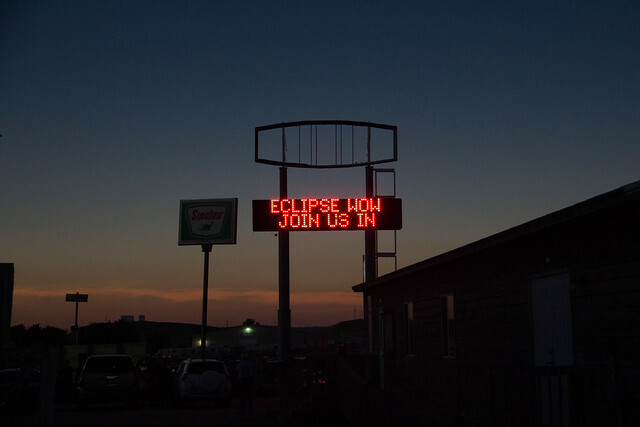 one encounters driving north along I-25 from Cheyenne that was in totality. Thus, this is where we, and 20,000 of our closest friends got off the highway to watch the eclipse. I could spend a lot of time talking about the spiritual experience of watching a total eclipse in person, but I’m not that kind of guy. 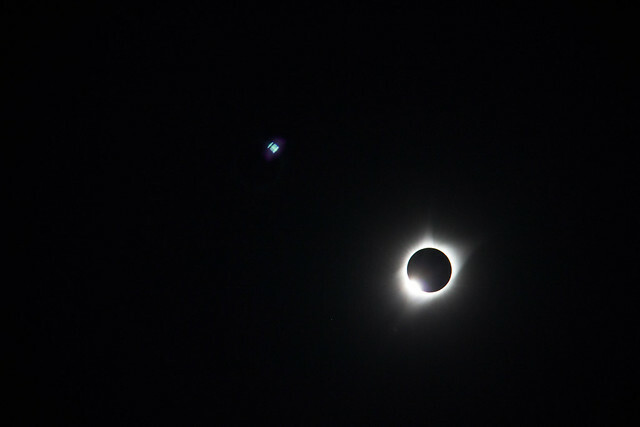 It was an amazing experience, no doubt: the way the quality of light changed, the way temperatures dropped in the last 20-25 minutes prior to totality, and how beautiful it was to stare at the sun’s edges. My vantage point behind the gas station let me enjoy it with people nearby, but in an otherwise uncrowded area. But the fact is, many people have written lengthy books about this experience and I lack the ability to convey the experience in a more meaningful way. So, what I want to say is that Wyoming did an amazing job of hosting its visitors. I haven’t seen any final numbers, but it wouldn’t surprise me if the state had close to a million visitors – an impressive number for a state that normally hosts about half a million citizens. Traffic was incredibly slow, but the state troopers and local police were out in force, directing it as efficiently as they could. 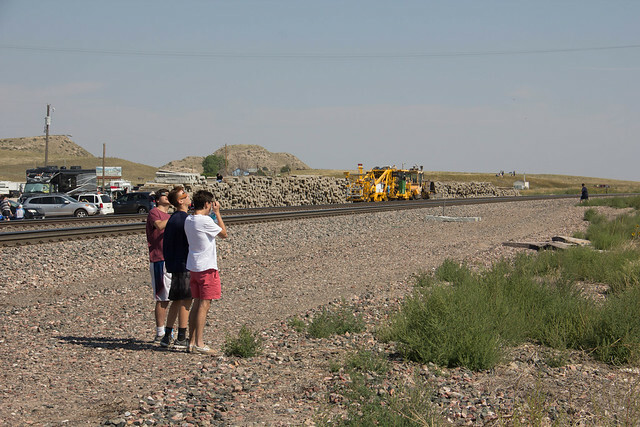 Although I read that one person was killed – nowhere near where I was – I never saw an accident: Wyoming’s guests were almost as well behaved in driving as its police forces were in hosting. About the only thing I remain upset about is the fact that the Radisson Hotel Cheyenne cancelled my reservation. It is, apparently, managed by an incompetent, lying, nincompoop. I’m also extremely disappointed in Booking.com’s inability to admit their incompetence and to apologize meaningfully.